Losail International Circuit in Qatar will host the final pre-season test of 2018, 1-3 March, with each day’s session running 1-9 p.m. local time. 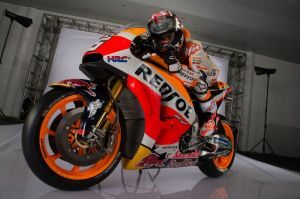 It will be an important test for the Repsol Honda Team to finalize their preparation and make the final choices regarding bike setup before the starting lights go out for the first Grand Prix of the season at the same venue, on March 18. During the last hour of the test’s final day (3 March), the track will be covered in water to give riders the chance to evaluate the Losail circuit in the wet under the floodlights.